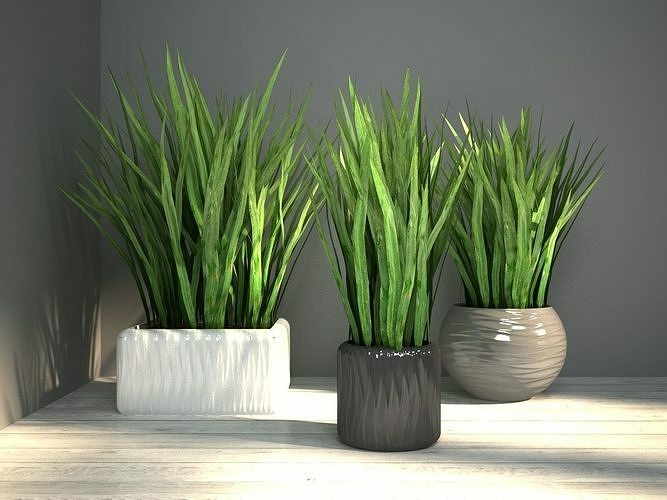 Quality models of 3 different grasses in the pots. Model suitable for interior design, decor or landscapindg. The scene is done using v-ray render. All materials and textures are attached.